It’s been a while since Running Wolf’s Rant has featured some interesting Twitter folk. 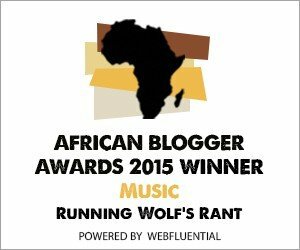 @gabigoldberg has been selected to be featured today on Running Wolf’s Rant as one of the Interesting Tweople in the Technology category. This Cape Town based blogger is definately one of the nicest people I’ve interacted with via Twitter. Besides being nominated for the SA Blog Awards twice she has also been featured in the Guardian in the UK. She’s interviewed various artists on her blog, including Die Heuwels Fantasties and others. She’s definately one of the most hard working bloggers in South Africa (in my opinion). You can check out her blog at http://musicalmover.com/. Her blog comes highly recommend by your’s truly. I guarantee you that you will not be disappointed. She’s on the ball and she’s an absolute wordsmith (in my opinion). She has a bright future ahead of her. I recently had the privilege of interviewing @musicalmover. This is what she had to say. How long have you been a blogger? I’ve been a blogger for over two years now – something that is rather hard to wrap my head around, it feels like just yesterday I wrote my first post! Are you addicted to Twitter and Facebook or just to one of the two? Fortunately or unfortunately I’m addicted to both. I’m always on either of the two. Twitter for anything and everything and Facebook for friends and such. They’re each such varied platforms that they’re fun and addictive for different reasons. What would you consider to be one of the highlights for your blog for 2010? A blog highlight for 2010 would have to be my interview with Pendulum. They’re a great band who I’ve been following for the last couple of years and to finally be able to interview them was an achievement! Can you recall a funny moment that you’ve experienced whilst using Twitter? Now that is a tough one. They’re all rather funny, special and unique! Running Wolf’s Rant would like to thank @musicalmover for taking the time to answer these questions. The previous person that was featured in the Interesting Tweople section on Running Wolf’s Rant was @LisaTroy (from Greece), feel free to check that post out. Watch this space for regular updates in the Technology category. Many other interviews have been posted on this blog so please feel free to check them out as well. Also watch this space for regular updates in the Movies, Music, Humor, Facts and Opinion categories as well as daily updates in the Babes and Photography categories. Feedback is appreciated and welcome.